Hi, hi, hi! I’m Adrina, and I’m SO happy to meet you! 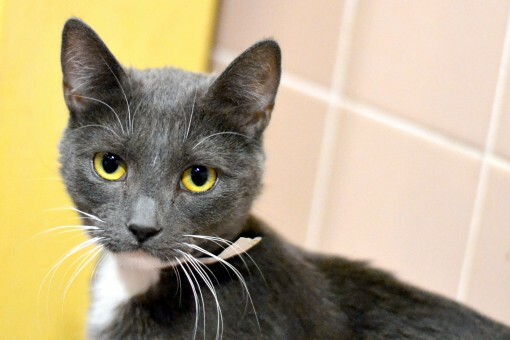 I’m a 2-year-old gray domestic shorthair, and I am looking for someone to love. I am just about the sweetest cat you’ll ever want to meet, and wouldn’t it be great to see my sweet face at the door every time you come home from work? I’m a Sidekick in the Humane Society’s feline-ality program, which means I can get along just fine while you’re at work, but I’ll also reserve a spot in your lap when we’re relaxing in front of the TV.